Mittersill is a town in Austria that is linked to the Kitzbuhel ski area through the Panoramabahn cable car at Resterhohe. 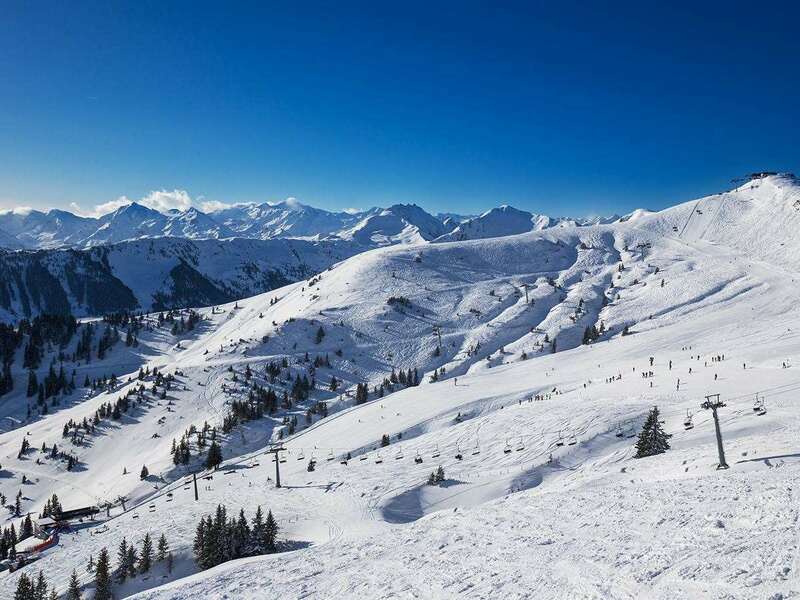 Kitzbuhel is a leading ski resort located in the majestic Austrian Alps, providing glorious ski runs in one of Europe’s most treasured areas of natural beauty. The ski seasons generally runs between December and April, with all slopes being well-maintained to ensure the best possible conditions for visitors. Overall, an average of 155 days a year are suitable for skiing, giving skiers and snowboarders plenty of time to make a visit. Kitzbuhel offers 170km of prepared slopes, 32 km of ski routes and 56 cosy ski huts for skiers and snowboarders looking for a unique break in picturesque winter surroundings. With runs to suit visitors regardless of their ability, the resort is suitable for anyone interested in the sport. Kitzbuhel boasts a huge array of runs designed for beginners, intermediates and experts. It has also received critical acclaim, with Skiresort.de voting it the “best ski resort in the world” in 2013, 2014 and 2015. Other than skiing between the ski villages, there is a Postbus bus link that operates between Kitzbuhel Hahnenkamm and Mittersill. We would recommend checking the times before going out skiing as they are at irregular times throughout the day between 7am – 5pm. Taxis are available in the evenings but it will be expensive for the long distance between Kitzbuhel town and Mittersill. The skiing experience across Kitzbuhel is absolutely sublime. Kitzbuhel has a glowing reputation as one of the world’s top winter sports areas and it is easy to see why. Breathtaking scenery, varied runs and a relaxed atmosphere make it an unmissable destination for those looking to see the best slopes in the world. We can’t talk about Kitzbuhel without mentioning the Streif run. This stretch of snow is one of the most exciting challenges in the world for winter sports enthusiasts. Speak to our expert sales team by calling the number above if you would like to discuss options for a ski holiday in Mittersill or Kitzbuhel. With a village full of restaurants, bars and cafes, Mittersill is a fantastic place to relax after a day of hard work on the slopes. Sleigh ride tours are also available at the resort if you want to enjoy the majestic scenery and winter atmosphere in style. Kitzbuhel offers a much livelier vibe, with plenty of ski huts and bars hosting parties until the early hours. The Stamperl is one of the most popular drinking establishments and is a great place to mingle with other skiers and is located at the bottom of the slopes. Other favourites include The Londoner and O’Flannigans. Swimming at the Water World Aquarena with fun slides, sauna and spa. Innsbruck (1 hour, 30 minutes), Munich (2 hours) and Salzburg (1 hour, 30 minutes) airports are the easiest to reach for visitors. Mittersill a beautiful area of the Kitzbuheler Alpen and with addition of the new Panoramabahn in Hollersbach allows fast access onto the surrounding ski area.